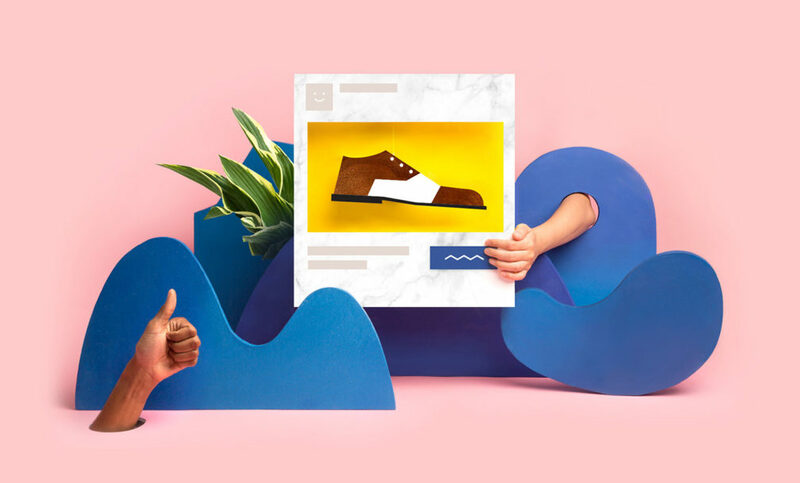 With more businesses than ever utilising Facebook as a form of marketing and advertising, brands are becoming more and more exasperated that their messages are being given less exposure than they once were. With Facebook’s ever-evolving algorithms and regular advertising guideline tweaks, marketeers have been making their frustrations about the platform known. Competition for the user’s attention is fierce and even reaching consumers with paid Facebook adverts is becoming increasingly more difficult. Many brands have gone as far as to accuse Facebook of being a money-hungry platform that rewards big businesses who are likely to be higher payers and leaves smaller businesses (lower payers) in the dark. But should brands with smaller budgets be stop investing in Facebook? Absolutely not. What other channel offers a database of almost 2 billion people where you can personally target each one’s likes and dislikes? Not many that we know of! Where else gives you such valuable information that is so readily available pretty much then and there? Below we discover why your brand shouldn’t ditch the platform just yet. Let’s talk again about the seemingly continuous algorithm changes implemented by Facebook. As bothersome as these adjustments may seem to some, unfortunately they are necessary and without them, you would start to see your ad’s performance suffer. This is because Facebook uses it’s complex algorithm system to filter and reject those ads that don’t adhere to the platforms often enigmatic rules. Without this feature, users News Feeds would be overwhelmingly clogged with an even greater percentage of ads, making users likely to actually drop off the platform altogether due to the continuous amplified hassle of adverts rather than updates from their friends. According to Social Media Today, any Facebook user is eligible to be exposed to as many as 1,500 adverts PER DAY. Adding to that already extortionate number is tipping the balance. When you know your target audience inside and out, Facebook’s extremely precise targeting function is your best friend. The tool allows you target audiences as broadly as metrics like gender, age group and location, but also to dig as deep as relationship status, your child’s birthday, your level of income or your average purchase behaviour. The intricacy of this complex system is all the more reason to not ditch Facebook just yet. Aside from the likes of PPC, leaving Facebook means you are arguably opting out of the most effective gold pot of customer data on the internet. Facebook is probably one of the most powerful advertising platforms available to businesses today so leaving it behind is likely to be an incredibly damaging mistake for your company’s bottom line. One of the most valuable functions Facebook offers is the endless possibilities to retarget. Have you ever wished for a way to re-communicate with those people who browsed your site but did not take the final step and convert? With Facebook’s Custom Audience targeting tool and the install of a simple Pixel, this is possible! In fact, what about those people who DID buy? With the same tool you are also able to target this group with ads to generate repeat purchases, up-sell and start to build on brand/customer loyalty. Facebook’s opportunity for retargeting doesn’t end there either, the list goes on and on. AND did you know you can now even target your MailChimp database WITHIN the Facebook platform? Check out our blog about that here. Whether your business has a big budget to invest into Facebook advertising or just a few left over pennies, one of the most important reasons to NOT abandon Facebook is the opportunity it offers to engage and interact with customers, allowing you to build and develop ongoing relationships and create brand loyalty along the way. Keep your followers up-to-date, answers their questions and Like their comments….a little love goes a long way on Facebook! Need a helping hand getting started with Facebook marketing or advertising? Give CuCo a call now on 01202 911959 or email us at hello@cucocreative.co.uk. We’d love to hear from you! Next Post: Say hello to DBA’s newest members! I agree. Facebook can be incredibly frustrating at times when they just keep changing things and seem to be ever more money grabbing over time, but we just can’t deny that it is still probably the most valuable social media platform out there for many types of businesses.